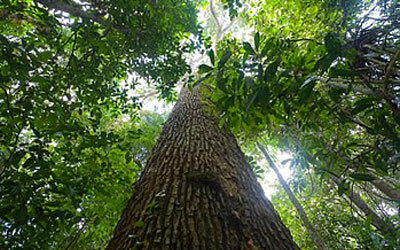 Wallaba is a dense tropical hardwood which is grown in the forest of Guyana. 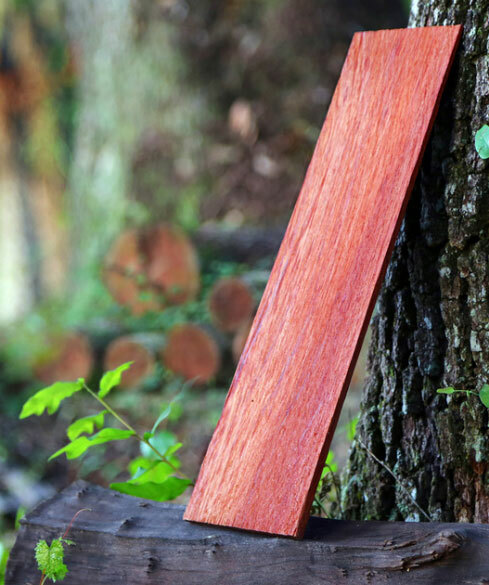 The wood is light red to reddish-brown in color. Wallaba is a very high density and the texture is rather coarse with grain which is typically straight. Wallaba consists of high gum exudate sand oily resin which are part of the properties that fight against insects and decay. 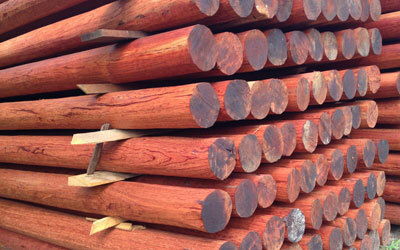 Wallaba wood was mainly known for its use as shingles and transmission poles for centuries. Gorgeous deep red color, which matures over time to a stately silver. They are suitable for any climate and have withstood category 5 hurricane winds. ~ Wallaba Hardwood Shingles an attractive alternative to other wood shingles and it also provide extra insulation with a higher R-Value. ~ Wallaba hardwood shingles can often be counted on for fifty years of use, if not more. Wallaba Shingles are world-renowned for being naturally resistant to moisture, insects, decay and fire. 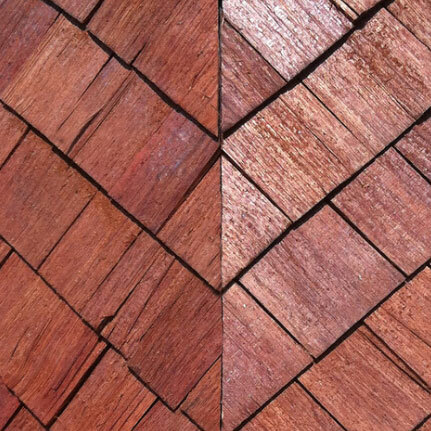 Our Wallaba shingles are manufactured from sustainably harvested logs. The shingles are highly valued, specified by architects worldwide, and distributed globally. 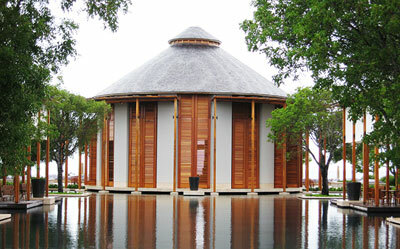 Examples of projects that have used Wallaba Shingles include prestigious resorts, hotels, and villas in various countries. Wallaba Shingles are classic wood shingles that are aesthetically pleasing, environmentally friendly, naturally durable, and can last a lifetime. They are 100% clear, 100% heartwood, and are naturally resistant to insects and decay. The shingles are long lasting and can also meet a Class A, B or C fire rated roof system, when installed according to the roof system requirements. Wallaba Shingles do not require chemical treatment, which makes it an environmentally responsible green building product. It has dark reddish-brown color which weathers over time to a beautiful silvery patina which results in a reflective, cool roof. This helps reduce environmental heating and keeps homes cooler.